On the 12th day of Christmas Twin Tested gave to me a Christmas Cake with cranberries nice and candied. Preheat your oven to 325 degrees. Make your cranberry simple syrup. In a small pot add the 1 cup of sugar, 1 cup of water, and 2 cups of cranberries. Bring to a boil, once the berries begin to blister and get soft strain the berries; reserving both the juice and berries in different bowls. Mix your dry ingredients in one bowl (flour, baking powder, salt). In another bowl add the sugar and lemon zest (allow the kids to hand mix the sugar and zest; so the oils penetrate the sugar). Mix the eggs and sugar; beat until fluffy. Then add the eggs and mix. Add the buttermilk, pure vanilla extract, & meyer lemon syrup. Add the wet ingredients to the dry in 3 batches. Mix until all of the ingredients are incorporated. Fold in the cooked cranberries. Add the cake batter to a bundt pan and bake for approx. 40 minutes (this really depends on the type of bundt pan you’re using and your oven). Make the icing by adding all of the icing ingredients. Make the candied sparkling cranberries for the garnish. Quickly dip the remaining 1/2 cup of cranberries in the cranberry simple syrup and roll them around on a plate of granulated sugar. Allow the cake to cool and remove from the bundt pan. Ice the cake and top with candied cranberries. 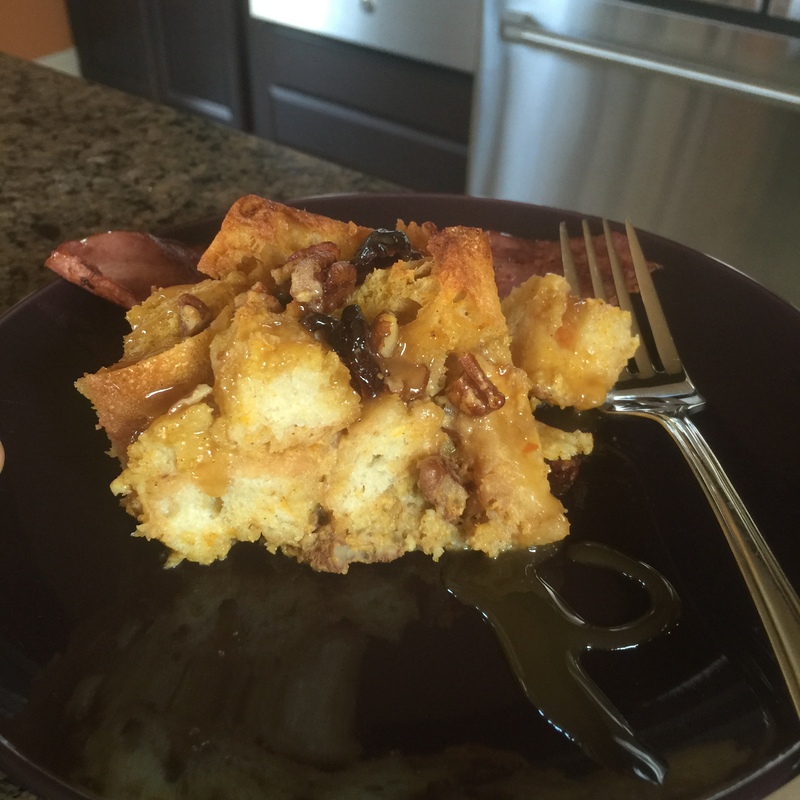 On the 11th day of Christmas Twin Tested gave to me a Cranberry Apple Walnut french toast casserole so filling and yummy! Cube the loaf of french bread. In a bowl mix the eggs, milk, cinnamon, nutmeg, and vanilla; stir. In a small pot mix the brown sugar and butter on medium heat until the butter and sugar incorporate. In a bowl pour the brown sugar over the sliced the apples and stir. Place the bread in a casserole dish and pour the milk & egg mixture over the bread. Add the sliced apples and cooked cranberries and fold the fruit into the bread and milk mixture. Bake for approx. 30 minutes. Serve with maple syrup. On the 10th day of Christmas Twin Tested gave to me a Grinch popcorn to enjoy while watching the Grinch Movie (adapted from Pinterest). Add the 2 tbs. of coconut oil to a large pot and melt it on medium high heat. Add the kernels and place the lid on top. While the popcorn is popping, in another pot add the 1/4 cup of butter and melt on medium high heat. Then add the marshmallows. Once the marshmallows are melted and smooth add drops of yellow and blue food coloring until the mixture become bright green. Place you popcorn in a large bowl and sprinkle with salt. Pour the mixture over the popcorn before it starts to cool, making sure all the popcorn is covered. 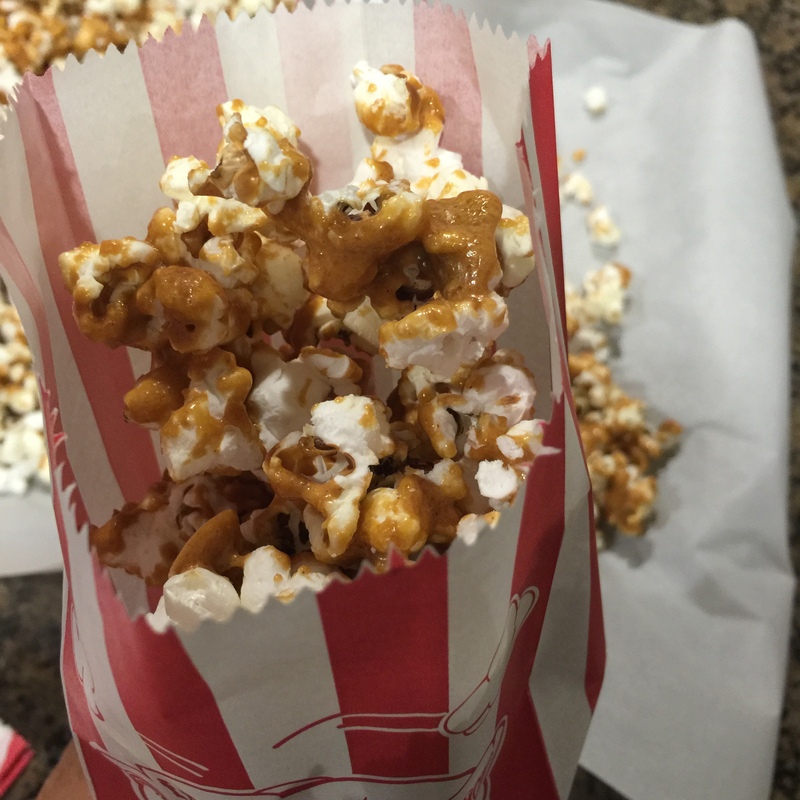 Add the red candies and some marshmallows and fold it into the popcorn. 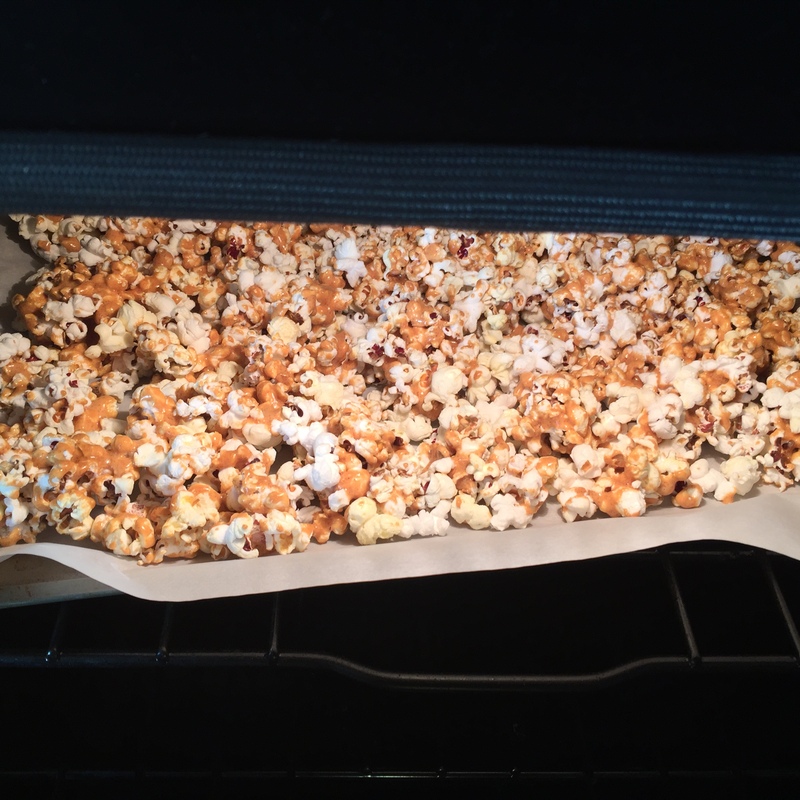 Place the popcorn on a parchment lined baking sheet and place in the fridge for 20 minutes. On the 9th day of Christmas Twin Tested gave to me Cranberry Meyer Lemon Cheesecake! If you are making your own crust mix the butter, brown sugar and graham cracker crumbs into a pie pan and press to form. In a bowl beat the cream cheese and sugar until incorporated with a mixer. Add the sour cream and meyer lemon syrup, mix well. Add the eggs, 1 egg at a time mixing slowly. Pour the mixture over the crust. Bake for approximately 50 minutes. Let the cheesecake cool and refrigerate for four hours. Use a pastry brush and brush the cheesecake with the simple syrup using it as the glue. Place the sparkling cranberries on top of the cheesecake. On the 8th day of Christmas Twin Tested gave to me Cranberry Vinaigrette perfect for any party! In a blender mix all of ingredients until smooth and completely combined. (If you are using coconut oil you may have to warm it up a little first). On the 7th day of Christmas Twin Tested gave to me Sparkling Cranberries! Clean the cranberries. In a small pot add and stir the 1/2 cup of water, 1/2 cup of sugar, and 1/4 cup of maple syrup over medium high heat. Add the cranberries and let them sit in the syrup mixture for about five minutes (don’t let the cranberries blister or pop). Ensure all of the cranberries have been covered. Place the other 1/2 cup of sugar in a bowl. Remove the cranberries with a slotted spoon and transfer them to the sugar bowl and roll them around then transfer them to a baking sheet or a parchment paper lined surface. 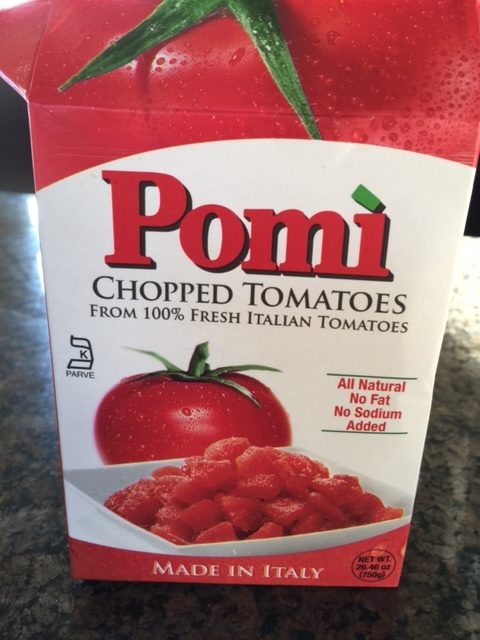 These are great on top of salads, as a solo treat, cocktails, garnishes, etc. On the 6th day of Christmas Twin Tested gave to me something special for adults, a Sparkling Cranberry Mojito fresh and bubbly! Make your cranberry simple syrup by combining the sugar, water, and cranberries in a pot on medium high heat. Remove the pot from the heat once the berries begin to burst. Strain the berries (but don’t throw them away). Juice the limes. Muddle half the mint leaves in each glass. For each drink combine 2 oz of syrup, soda and rum. Add ice, stir and enjoy! On the 5th day of Christmas Twin Tested gave to me White Chocolate Oreo Cookie Balls decorated like Santa and Snowmen! (We made these last year they were very yummy, we will be making them again in a few days so I’ll post the picture then). Decorations: Icing, sprinkles, eyes, etc. Finely crumble cookies in a food processor. Shapes the mixture into 1″ balls and freeze for 10 minutes. Dip them in the melted chocolate. Place them onto a parchment lined cookie sheet in a single layer and place them in the freezer for 10 minutes. (If you are making snowmen use a spot of icing and dab a bit between the two ball and stick them together before freezing them. Decorate the balls as Santa or Snowmen. On the 4th day of Christmas Twin Tested gave to me a short cut to a Rum Cake for the Holiday! Follow the directions on on the box of cake and substitute the water for rum. Pour in a greased and floured bundt cake pan. In a bowl mix melted butter, powdered sugar, vanilla extract, and rum in a bowl. Taste and adjust flavor to your liking by adding more or less sugar or rum. Ice cooled cake. On the 3rd day of Christmas Twin Tested gave to me another fantastic super simple Chicken Pot Pie recipe. Preheat the oven to 350 degrees. Add the coconut oil to a large pot on medium high heat. Season the chicken with salt, white pepper, & garlic powder and add the chicken to the pot. Place 1 of the pie crust in the bottom of a casserole dish and bake it for about 10 min. Once the chicken is done remove it from the pot. Add the butter and the vegetables and the seasoning. After 2 minutes add the chicken broth and return the chicken to the pot. Bring to a boil and add cream. Stir and add the slurry. Transfer to the casserole dish on top of the crust. Top with the other pie crust and cut a few slots into the crust. Bake for about 20 or until golden brown. On the 2nd day of Christmas Twin Tested gave me to Creamy Cilantro Lime Chicken perfectly brown and citrusy! (I adapted the majority of this recipe from Pinterest & tweaked to my liking) but my family loves this dish no matter what I serve with it. Season chicken with salt and pepper and on medium high heat add your tablespoon full of oil to your pan. Cook for about 8 minutes on each side depending on the thickness of the chicken breast. Remove the chicken breast and set aside on a plate covered. Add the butter and sauté the onion for a couple of minutes. Then add chicken broth be sure to scrape all the brown bits from the bottom of the pan, add the red pepper flakes, cilantro, and limes juice. Once that comes to a boil add the chicken back to the pan and allow it to cook for an additional 3 minutes until the chicken is done. Remove from the heat and add the heavy cream. 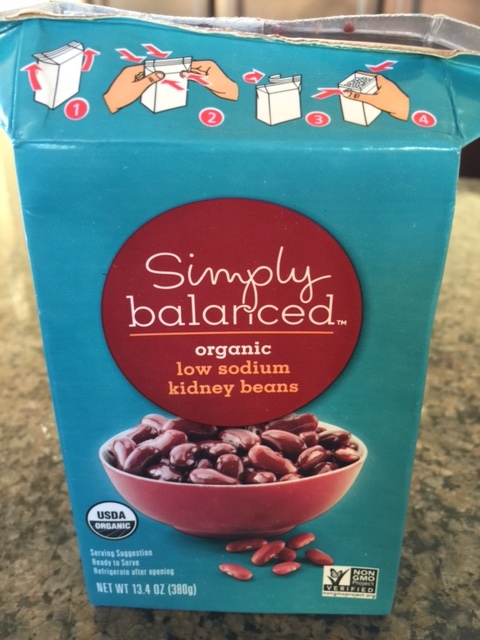 Stir and serve with your favorite side dishes and enjoy! On the 1st day of Christmas Twin Tested gave to me Sweet Potato Casserole topped with Pecans golden and bubbly! Preheat the oven to 350 degrees. Peel & cut the potatoes into cubes and a lace them into boiling water. Boil until tender then drain. While potatoes are boiling, in a bowl mix 1/4 cup of butter, with the flour, pecans, & 1/2 cup of brown sugar until the mixture begins to forms crumbles. In another bowl add the drained potatoes and remaining ingredients and whip. Transfer to a casserole dish. 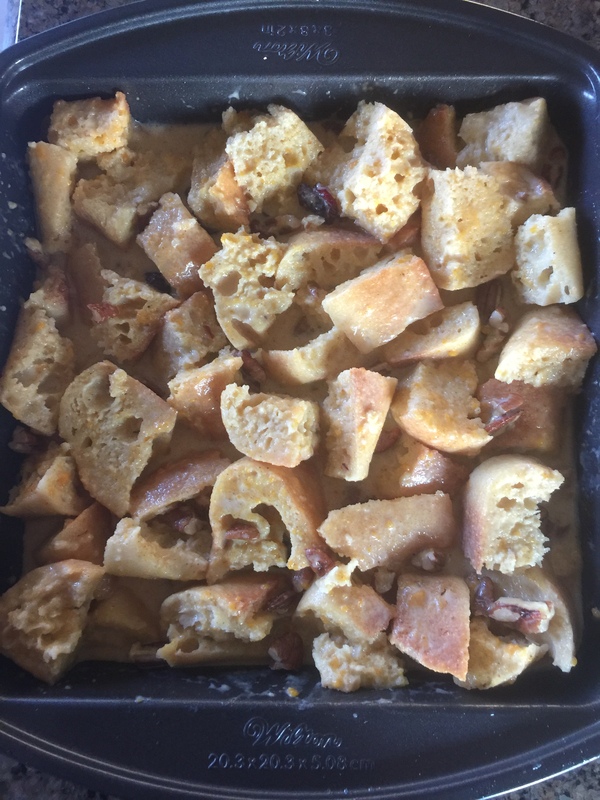 Top with the pecans bake and for approximately 30 minutes or until golden bubbly brown. My favorite time of the Year! 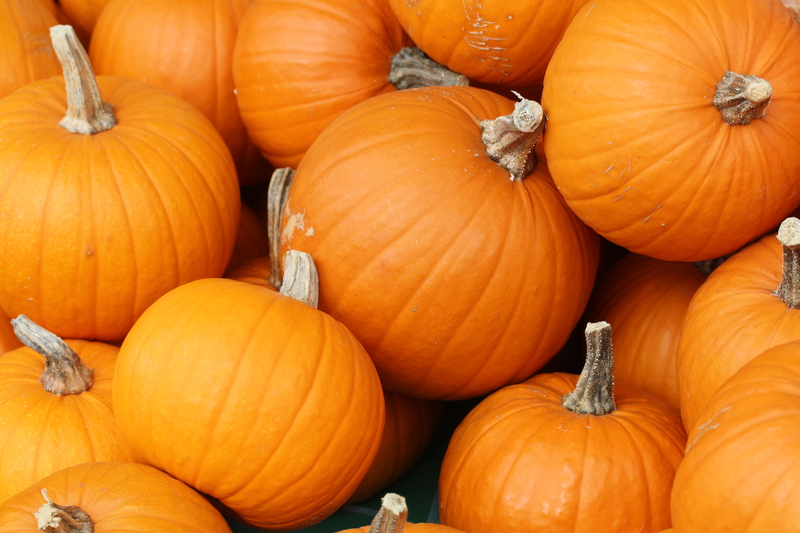 FALL means Pumpkin time. Pumpkin spice lattes, pumpkin muffins, pumpkin waffles & pancakes, pumpkin spiced donuts, and anything pumpkin except pumpkin pie. 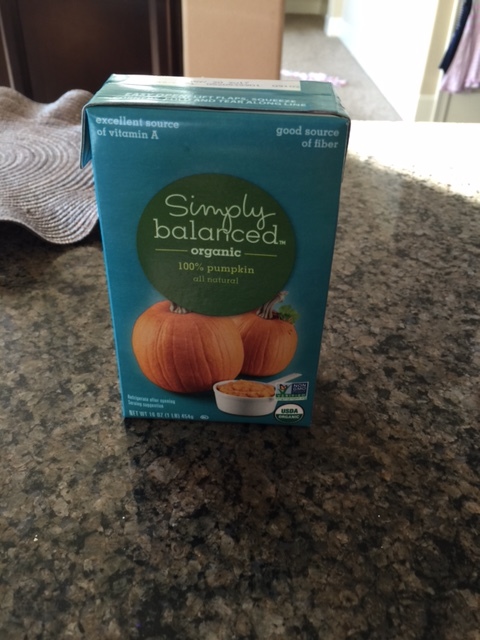 So here are a few of my favorite fall recipes with and without pumpkin. A Happy Accident I set out to caramel corn today while scanning the fridge and pantry in my head. 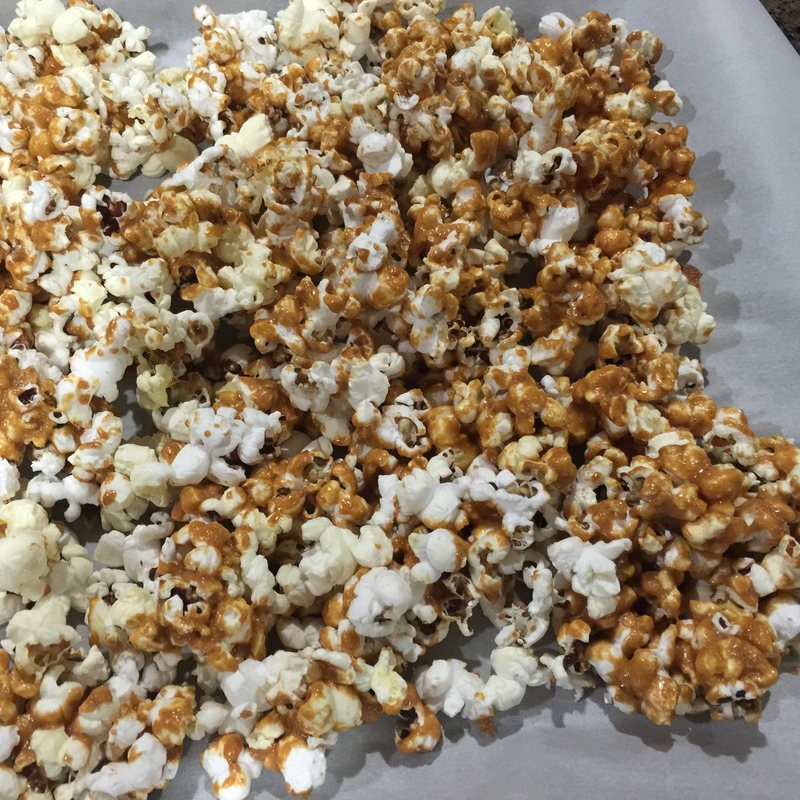 I just knew I had all the ingredients I needed to make this Pumpkin Caramel Spice Popcorn I saw on Pinterest. 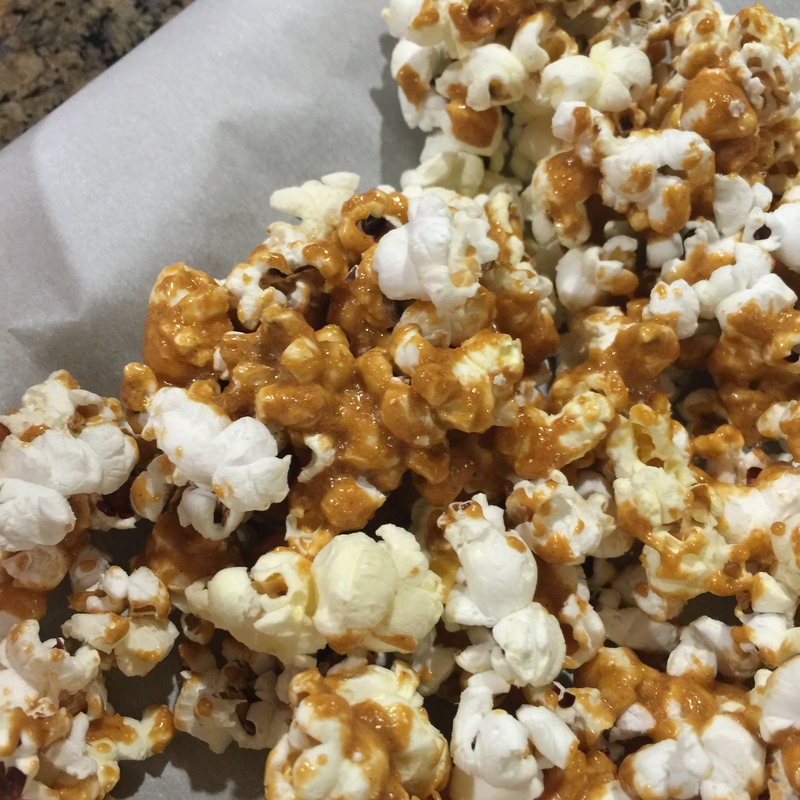 So I put my popcorn in the pot and began pulling everything I needed out; only to find that I was on the two main ingredients: brown sugar and butter! As I usually do I improvised! This is one of my best pumpkin dishes yet! It’s addictive so be careful! Preheat the oven to 250 degrees. Melt the butter and the brown sugar, vanilla, a little salt, and pumpkin pie spice. Stir until smooth, be very careful not to burn the mixture. Add the caramel squares. Constantly stir until they are melted. Add the baking soda. Stir until its well incorporated. Pour the mixture over the popcorn. You may want to split it in half to ensure it all gets covered. Bake at 250 degrees for 30 minutes. Let it cool for about a half hour. Preheat the oven to 325- 350 degrees (my oven cooks fast so I bake on 325). Coat an 8″ square baking pan with oil and set aside. In a bowl whisk together the cream, pumpkin, milk, sugar, eggs, salt, spices, and vanilla. 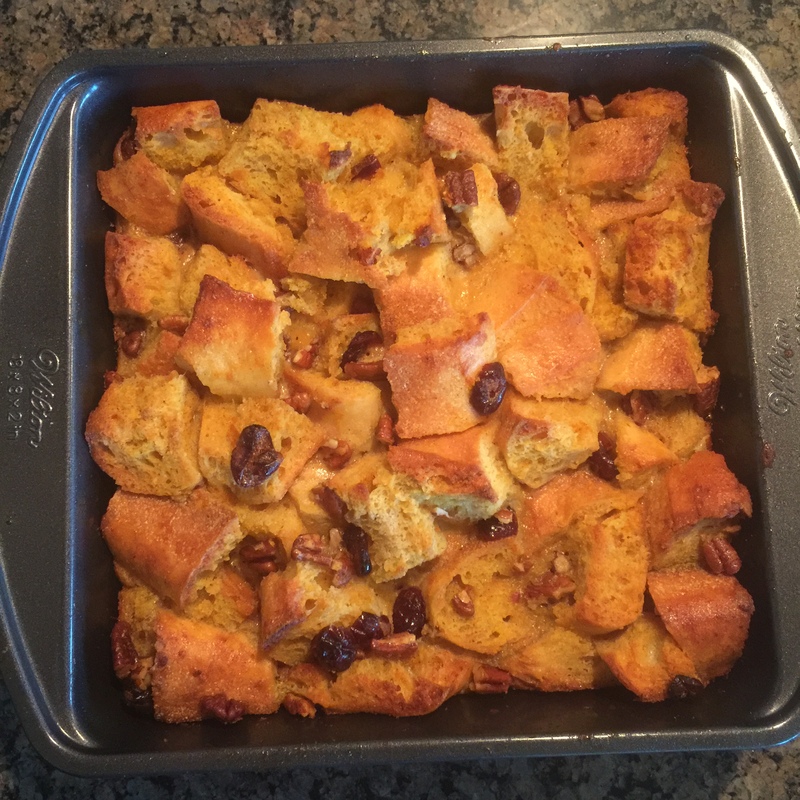 Toss the bread cubes with butter, cranberries, and pecans in another bowl and pour into the baking pan. Pour the pumpkin mixture evenly over the bread. Press the bread gently into the mixture and ensure all of your cranberries and pecans did not sink to the bottom. Allow the mixture to sit for 15 minutes before baking. Bake the custard until it sets for about 35-40 minutes. While baking prepare the caramel sauce. In a saucepan mix the brown sugar, half & half, butter, and salt over med.- low heat and whisk for about 5 minutes or until it becomes thick. Add the vanilla extract and stir for an additional minute or so. 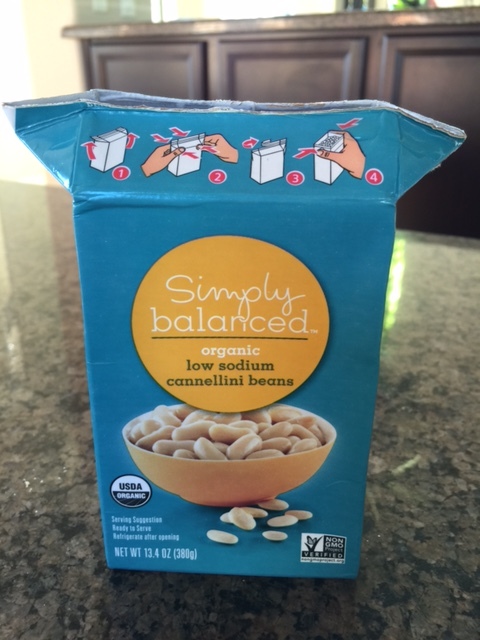 Remove and place in a serving bowl. 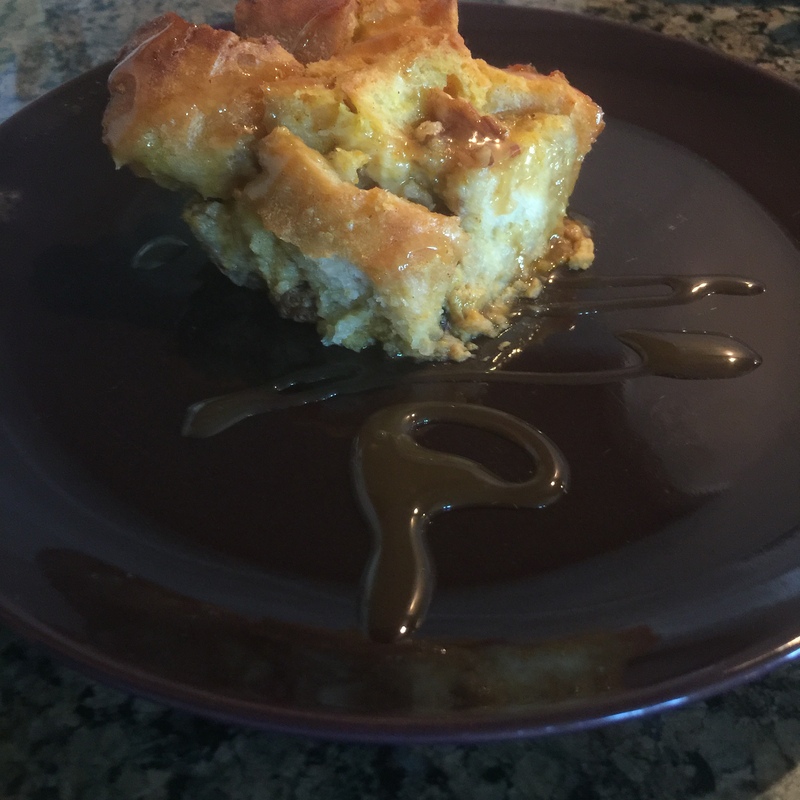 After the bread pudding has cooled cut a square and spoon the caramel sauce on top. Enjoy! Add all of your ingredients to a mixing bowl stir well until there are minimum lumps the consistency should be medium thick. Spray your waffle iron and depending on how large your iron is drop batter to cover, cook, & enjoy! Use half of the oil for grill pan, pre-heat pan on high. Decrease to med-high place burgers (pattied out to your desired thickness and width) with a dimple in the middle. Cook for about 5-10 minutes on each side, this really depends on how thick they are. In a small saute pan add the other half of the oil and add the sliced red onions, saute for 2 minutes. Add the four peppers cook for 2 additional minutes. Remove peppers from the pan. When burgers are done place them in the pan you removed the peppers from. Place a tbs. of water in the pan and add 1 slice of Gruyere and 1 slice of Gouda to each patty cover with a lid. While melting lice your bread. Once melted place your patty on one slice of bread top with the pepper mixture and on the other slice of bread add your other toppings. Enjoy! Slice sausage about 1/2-1″ thick, set aside. In a large pot, add half of your oil and on medium-high heat begin to sautee your onions. Once they are soft, add the garlic and peppers and saute for an additional five minutes. Remove the vegetables and set aside. In the same pot add the remaining oil along with the ground turkey and sausage, add salt and pepper, crumble the meat and brown. Add the vegetables back to the pot along with the box of tomatoes, the boxes of beans, the pumpkin, chicken broth, and spices then stir. Lower the heat to medium or low depending on your settings and let it simmer for about 45 minutes. You may need to adjust the seasoning depending on how sweet, salty, or spicy you want it. Ladle it out into a bowl, garnish and serve! Bring the chicken broth, milk, and butter to a simmer and slowly whisk in the grits. Reduced the heat and occasionally stirring. Once the grits are thickened add in the cheese, salt & pepper. Heat oil in a skillet and add the sausages until brown and remove them to a plate. Add the vegetables and cook for about 5 minutes then add the shrimp. Once the shrimp begin to turn pink add the sausage back to the pan. Add the chicken broth and stir. Let it reduce for about 10 minutes, add the butter, stir and serve over grits. Heat the saucepan & add the oil, meat and the next 4 ingredients and cook for about 4 minutes. Add the onions, carrots, & jalapeno, saute til brown. Add the garlic and saute for another minute and stir in the tomato paste. saute for about 25 minutes. Stir in the broth and the next 3 ingredients and bring that to a boil. Simmer for 30 – 40 minutes or until the lentils are tender. Serve and top with yogurt and cilantro.